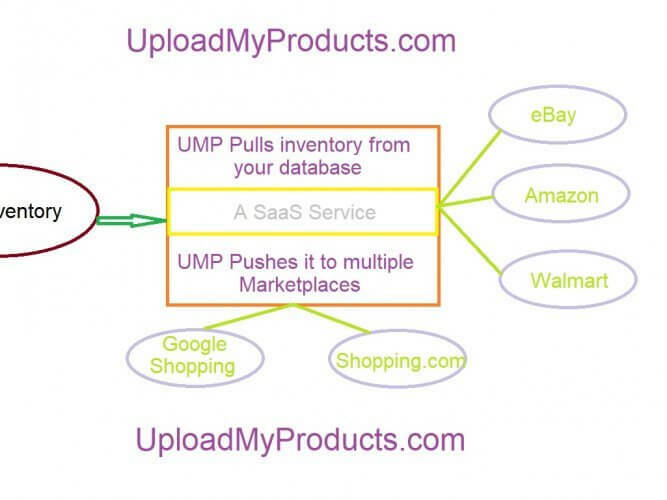 UMP – http://uploadmyproducts.com is a SaaS service that pulls inventory data from your ecommerce platform and pushes it to multiple marketplaces. UMP previously had successfully implemented Push or uploads to eBay, Amazon, Google Shopping and Shopping.com. It can now upload to Walmart.com also helping merchants give even more exposure to their products.